I don't remember which happened first: I was introduced to Reid Fleming or I wanted to write a rock opera. Either way, I (OK, maybe I had a little help) ended up writing a rock opera about Reid Fleming. In case you didn't know, Reid Fleming, The World's Toughest Milkman is an underground comic book series by David Boswell. Doug Ward (ID Under, 8Bark, Fourth Rotor) turned me on to Reid Fleming around the same time that Spongetunnel disbanded. I suggested that Doug and I get a band together and write a rock opera based on the Reid Fleming stories. I asked Paul Schmidt to play drums and Mark Mravic to play guitar. 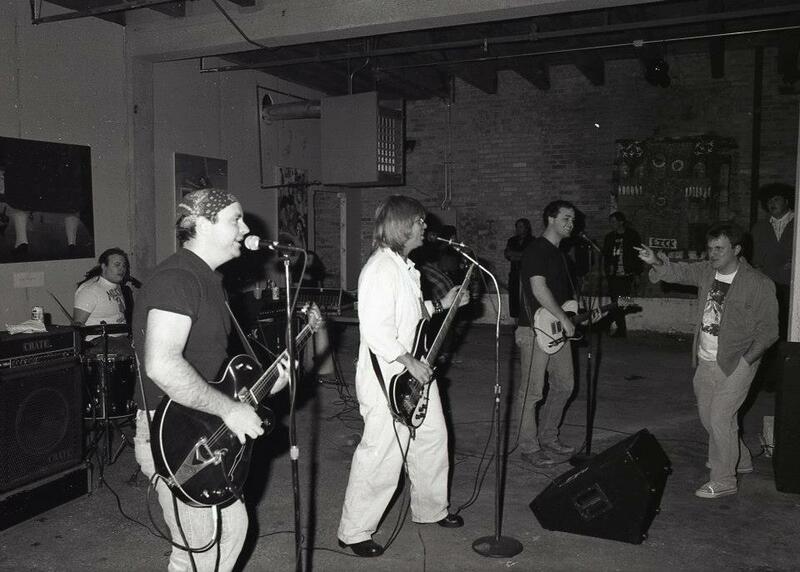 Paul was friends with a band that had often shared the bills with Spongetunnel, The Faith Dealers. I worked with Mark, he was the Managing Editor and I was Art Director at a horrible fly-by-night publishing company, which also employed other musicians, Jean Lyons from Barbie Army (I forgot her official title) and Oliver Steck from Fang Beach whose official title was unfortunately "Piss Boy." 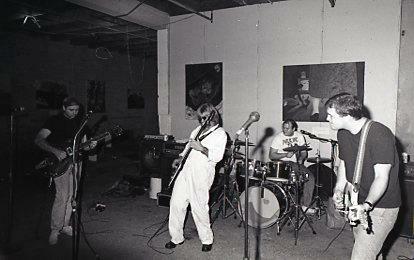 Paul on drums, Pat on guitar, Me on bass, and Mark on guitar. Steve Brooks from the Faith Dealers putting a curse on us. After several months of the music composing frenzy that ensued, Doug had become busy putting together his own band, 8Bark and didn't have time for Milk so I called up my friend Pat Boyle, that I had been in a band with in college, The Trend. 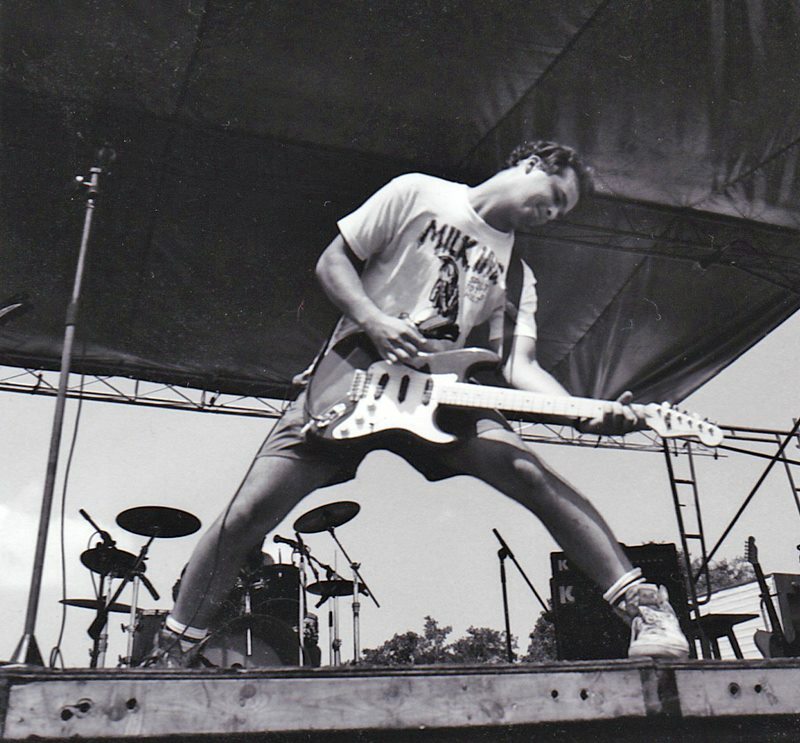 Doug left us with a fine instrumental for the rock opera called "The Dangers of Ivan." I wanted to have the whole band dressed like milkmen like in the comic book, so I bought everybody white painters overalls and made some black cardboard bowties as you can see in the band photo. Jack Frank of Widely Distributed Records was kind enough to put out our 4 song 7"record featuring songs from the rock opera. We eventually recorded the entire rock opera and several other songs but it was never made into a record. All of these tracks were recorded by Brain Deck at Idful Studios. 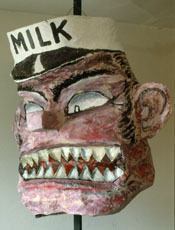 For the Reid Fleming opera I made a huge milkman head out of papier mache to hang over the drum kit. 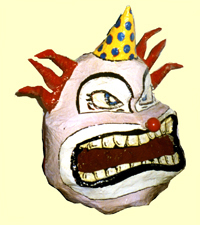 After many months of using this prop, I decided to create a new head, an evil clown, which worked well with our crowd-pleasing number, "The Circus is Coming!" 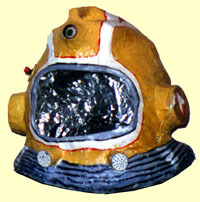 I also had aspirations of writing an epic science fiction space opera so I created the Space Helmet, which had working lights inside. Unfortunately, it got very hot and I could swear I could smell my hair burning. This band was great fun for a while but never really became successful. It was very frustrating and I had a lot of other things going wrong in my life at that time so I finally just quit, stopped playing music, sold most of my belongings and left the country. Am I temperamental or what?